This is a set of 200 shadeless multi colour fairy lights which are set approx 10 cm apart. They can be hung indoors in a window for example, or window line of your house. 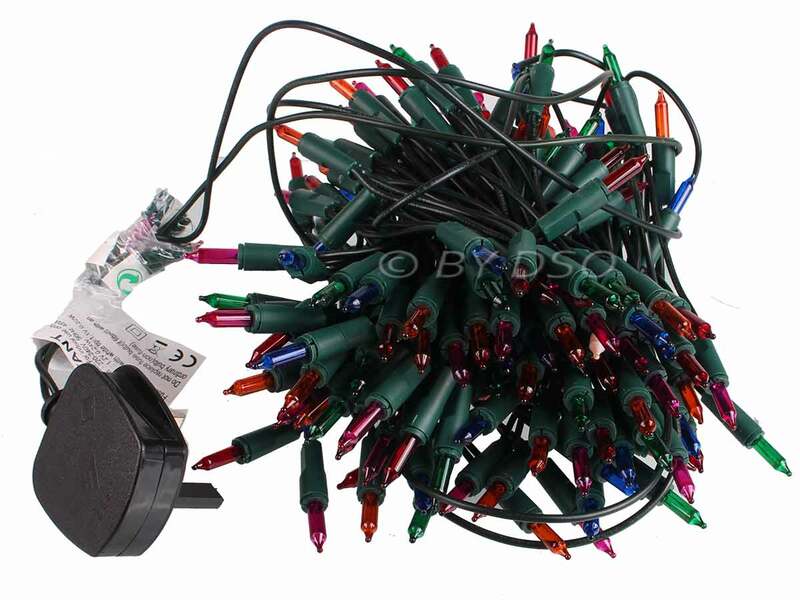 The set of fairy lights has push-in replaceable bulbs meaning that when they go out or break they are easy to replace. The set also has a 1.5 metre power cable for flexibility of placement.